It’s no accident that spoken French is beautiful – there are actually grammatical changes required to maintain euphony (agreeable or harmonious sound). This contributes to French’s musicality, with words flowing together and sounds added to avoid hiatus (the pause created by adjacent vowel sounds: at the end of one word and the beginning of the next). French doesn’t like hiatus, so there are various ways of avoiding it. Most single-syllable words that end in a vowel (usually e) drop it when the next word begins with a vowel sound. Nine adjectives change form in front of vowels. A verb ending in a vowel followed by il, elle, or on requires the addition of t– in between. In front of the adverbial pronouns y and en, the tu form of the imperative maintains s at the end (for a required liaison). The sound at the end of a word is transferred onto the word that follows. 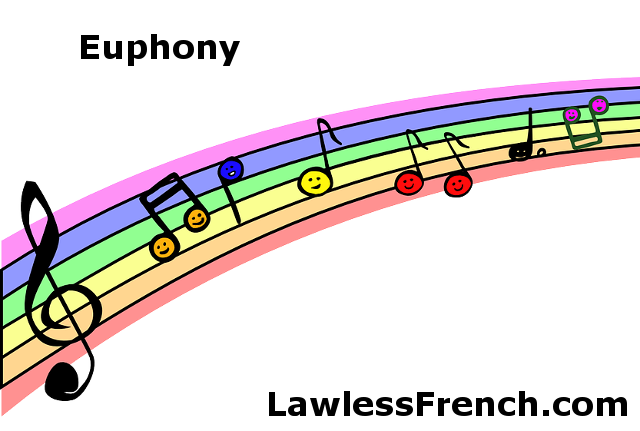 Unlike the rest of the techniques in this lesson, enchaînement does not avoid hiatus, but rather maintains the musical flow by connecting words. Would-be silent sounds at the end of words are sometimes transferred onto the word that follows. Some liaisons are required, others are optional, and the rest are forbidden. The definite article l’ may precede the subject pronoun on. Likewise, l’ may precede the indefinite pronoun un. Just what it sounds like: you can use the euphonic technique or not, it’s correct either way. Using the technique is more formal, so in a discussion with your boss, for example, it’s generally a good idea to use it. In comparison, you probably won’t when talking to your potes. A good rule of thumb is to use the optional euphonic techniques with people you vouvoie, but it’s really not that big a deal. 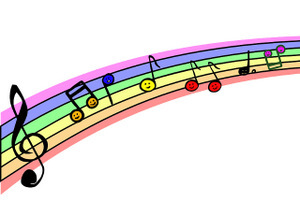 Under-using euphony is not potentially offensive the way tutoieing someone you should use vous with is.